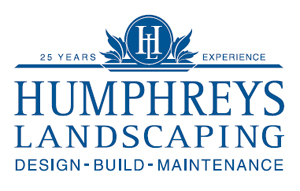 At Humphreys Landscaping Ltd our professional gardeners take pride in turning our clients' properties into beautiful environments - and keeping them that way. We're currently looking for experienced Gardeners / Landscape Horticulturists to join our dedicated team. If you're looking for a new challenge or want to step up into a leadership position with our busy Garden Maintenance business, then we want to hear from you! Proven experience in garden maintenance and dedication to providing quality workmanship in the high-end residential market is required. Ability to communicate and liaise with clients is preferred. This permanent position offers a solid remuneration package, an energetic, professional team environment, training and support as well as the potential to advance. As an accredited employer, we are part of a small group of New Zealand companies who are able to recruit globally and have our employees' Talent work visas processed as a priority. Any gardener worth their green thumb will jump at the chance to be involved with some of Auckland's most beautiful gardens. Please apply now through the online application form below. You can check out our work on our website! (Q4) What interested you in this role?